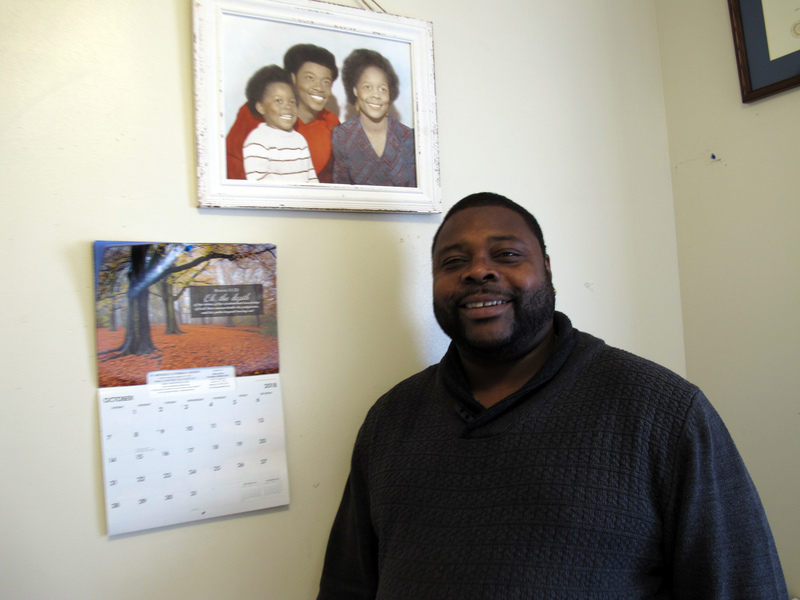 Marrell Edwards’ troubled past made him the ideal candidate to help Syracuse residents re-enter society after release from prison. 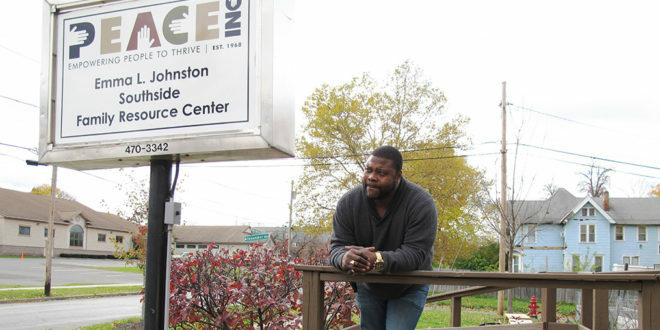 At least that was the thinking of PEACE Inc., who hired Edwards in November to serve as a case manager for its family-reunification program, a grant-funded effort to reduce recidivism by providing support to parolees. But Edwards’ past is now being used against him as he faces federal charges of conspiring to sell cocaine, according to court records. Federal prosecutors filed a sealed indictment against Edwards and 12 others on Dec. 19, and Edwards was formally charged in federal court in Syracuse on Jan. 9. On Jan. 15, U.S. Magistrate Judge Andrew Baxter ordered Edwards held without bail, justifying the decision in part on Edwards’ past convictions, as well as the strength of the evidence against him, according to Baxter’s detention order. The indictment also mentions Edwards’ past, stating that he is subject to harsher penalties because of past convictions. It cites three convictions between 1995 and 2007, all for criminal possession of a controlled substance. The impact of Edwards’ arrest on PEACE’s family-reunification program isn’t entirely clear as representatives from PEACE either did not return phone calls or declined to speak on the record. Sources have told The Stand, though, that Edwards is on unpaid leave from his position and that PEACE has chosen a replacement. Edwards is being represented by Samuel Breslin, a court-appointed attorney based out of Albany, according to court records. Breslin did not return calls seeking comment. A spokeswoman for the FBI field office in Albany, which covers Syracuse, declined to comment, saying she could not offer details on a pending case. A spokesman for the U.S. attorney’s office in Syracuse said Baxter’s detention order means Edwards was placed in the custody of the U.S. 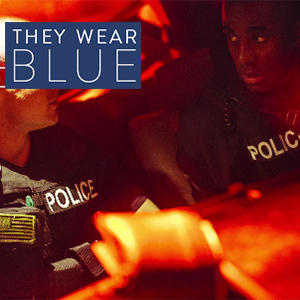 Marshals Service, which has contracts with local jails to house inmates like Edwards. He declined to say where Edwards was being held or provide other details on the case. That leaves the indictment as the only source of information on what Edwards is actually accused of, and the indictment itself provides few details. The activity took place between April and October 2018, according to the indictment. If convicted of the charges — possession with intent to distribute a controlled substance and conspiracy to distribute a controlled substance — he would face a minimum of five and a maximum of 40 years in prison. Another defendant is former Syracuse University football player Marcus Sales, and three other defendants appear to face more serious and detailed charges due to prior felony drug convictions. For example, the indictment details specific dates Brian McAlpine “knowingly and intentionally distributed” cocaine. No such details exist for Edwards’ charges. In multiple interviews with The Stand prior to his January arrest, Edwards was candid about his past struggles with drugs and the law. Coming of age in the ’80s, Edwards said he progressed from partying and smoking pot to crack. The drug was then widely used. He’d seen older guys using it and was curious, he said. The users chased him off. “‘You don’t want any part of this,’” he remembered them telling him. In 2017, PEACE turned to Karen Loftin, who had recovered from her own drug and legal troubles, to initially head a state-funded, $95,000 pilot program to help parolees re-enter society. By all accounts, Loftin was having success in the position, but her role was suspended when the initial grant funding ran out in February 2018. The grant lapsed for nearly seven months until a state renewal at the end of the summer. PEACE then sought to fill Loftin’s former role, interviewing more than 20 candidates. Edwards stood out because of his desire to work in this field and success in overcoming his own obstacles, people familiar with the hire said. Edwards’ efforts started slow while he reconnected with grant partners and participants. 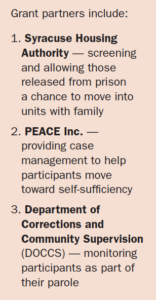 “Because of the lapse in the grant, I started by revisiting cases that were still active and worked to connect with DOCCS to see who is soon returning from prison and might qualify for Syracuse Housing, which is specific to the grant,” he said. DOCCS is the state Department of Corrections and Community Supervision, a partner. Edwards attributed his recovery from addiction to the prayers of both his grandmothers. His grandmothers Vera (maternal) and Emma (paternal) both repeatedly told him how smart he was and advised him to stay out of trouble. When he stopped using drugs, the crimes stopped, he told The Stand. The challenge came in finding work and staying motivated. Edwards said people can overcome addictions by finding something to fuel their self-esteem and replace those tendencies. Education filled Edwards’ “drug void,” he said. “When I came home in 2007, I wasn’t welcomed beyond my family,” he said. Because of a gap in his employment history and having to report a felony on job applications, he found initial work as a janitor. “I felt I was overlooked for jobs I was qualified for,” he said. He started classes at Onondaga Community College, next moving on to complete a bachelor’s degree in social work from Syracuse University, graduating in 2015. OCC professors Ednita Wright and Tina May kept him motivated in those early years. May, in an interview before his recent arrest, recalled advising him to gain further education, telling him how “our community needs his energy and his experience.” She said his work at PEACE furthers the influence he was clearly born and blessed to bestow upon others. She said Edwards’ example of compassion stood out. “Marrell’s life of experience on multiple sides of challenging issues, equipped with his intelligence and super sharp thought process made him a wonderful person to succeed at impacting the lives of others positively,” she said, describing him as an inspiration to his fellow classmates. Edwards told The Stand just that — that he wanted to be a positive role model. Edwards will serve as an example, one way or the other. If he beats the charge and resumes his work helping others, he could still fulfill his vision. If he returns to prison after more than a decade living on the outside with a job and an education, his tale may instead serve as a painful reminder of just how hard it can be to escape the cycle of incarceration.